What is war? 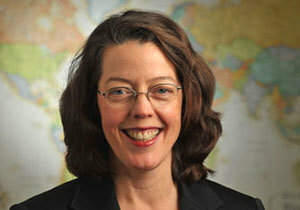 The question is more than academic, says international law expert Mary Ellen O’Connell. Without a clear definition of war or armed conflict, governments can simply claim they are at war in order to justify actions — killings, arrests, detentions — that otherwise would be condemned and prohibited by international law. O’Connell’s new edited volume, “What Is War? An Investigation in the Wake of 9/11,” just released by Martinus Nijhoff Publishers, “makes concrete the fact that armed conflict is legally defined as ‘war’ only when there is actual fighting by organized groups at a certain level of intensity on the battlefield,” O’Connell says. In 2005, the International Law Association set up a study committee, chaired by O’Connell, with a mandate to report on the definition of war in international law. As part of the investigation, O’Connell in 2007 directed a conference at Notre Dame, funded by Notre Dame’s Kroc Institute and The Ohio State University’s Mershon Center for International Security Studies, which brought together legal experts with political scientists, military historians, ethicists, journalists and peace researchers. “What Is War?” includes the formal report the committee produced for the biennial meeting of the International Law Association in The Hague, where it was approved. It also includes chapters by O’Connell and other international law scholars as well as by several Notre Dame faculty members: the late John Darby of the Kroc Institute; Gerard F. Powers of the Kroc Institute; Peter Wallensteen of the Kroc Institute/Uppsala University and Todd Whitmore of the Department of Theology. Originally published by Joan Fallon at newsinfo.nd.edu on July 23, 2012.